Technology Trigger – New tech gets folks like you and I all excited. Plateau of Productivity – Benefits of the tech are widely accepted and leveraged in practical ways with incremental improvements. 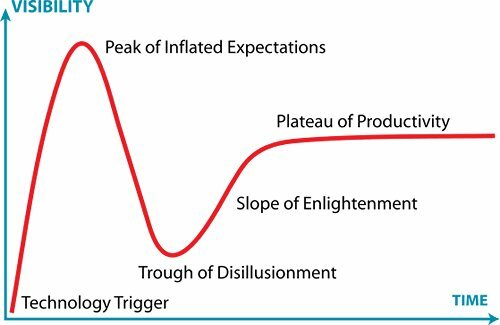 The statement made in the coffee shop tells me that Gartner’s current view is that we are on our way to (and through) the “Trough of Disillusionment” with regards to Cloud Computing. The only vendors who have anything to worry about are those who sell the “fluff” commonly known in our trade as “Blue Sky”. Anyone focusing on adding real value will soon see themselves rising up the Slope of Enlightenment to continue delivering great value to customer and partners alike. We believe that Go2Cloud is one of the businesses you can rely on to continue to deliver expectation meeting (and beating) value! 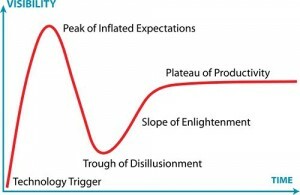 Source: www.Gartner.com – Gartner Hype Cycle for Emerging Tech 2008 through to 2012.